Integrate your data silos to finally navigate the data maze. 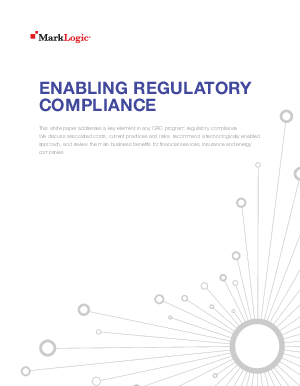 This comprehensive white paper addresses a key element in any GRC program: regulatory compliance. Download this paper to learn about the costs, current practices, and associated risks. We’ll also recommend a technologically-enabled approach and highlight its main business benefits for financial services, insurance, and energy companies.